I was certified in energy work about 17 years ago. I experienced a powerful moment of truth which led to the creation of a pretty progressive holistic product. I didn’t have much money for marketing or to build a nice website. I tried to list the product on some of the popular platforms at the time (Ebay, Etsy, Storenvy, Amazon etc.). Nobody was searching for what I had to offer. I was a misfit. I had an aha moment and decided to build the platform that would serve other “misfits” who might be under-capitalized and could use some business acumen. I want to efficiently serve those who make the world a better place! 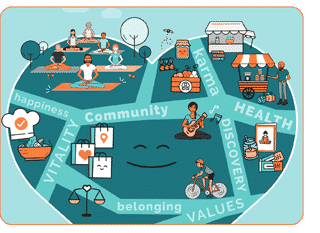 Mindful Market is a community-driven platform. We take no commission on sales. Our algorithms drive awesome conscious consumers (our community) to local stores in their neighborhood. Our community can share the love, write reviews and rate all the shops on the platform. We will be launching live real soon, so stay tuned! We plan on donating a portion of sales to local and global initiatives every month. We want to help small conscious based businesses grow and succeed any way we can. Our consumers can now shop by over 180 values that feel dear to their heart (organic, eco-friendly, empowers women, vegan etc.). Mindful Market is your one-stop shop for products and services that help you live your best life! Our values-based shopping options give you access to hundreds of filters to find exactly what you’re looking for. And, it’s not just about products, but local services, too. Every time you click “buy now,” you not only take control of your well-being, but you support the products and services that align with what’s most important to you. With each purchase, review or rating, you participate in creating a like-minded community. At Mindful Market we believe shopping can be an enjoyable, meaningful and mindful act. We bring together everything you need (from crystals to chiropractors to coconut oil and beyond) to live a healthy and happy life, making shopping easier, faster, and more values-aligned. 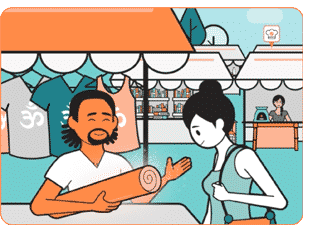 Mindful Market lets you spend less time searching and more time living! It’s your one-stop shop to find everything you need to live your best life. 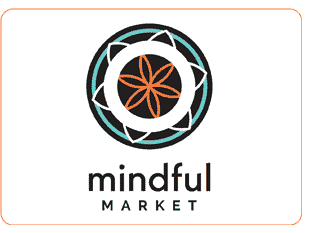 Find us on Facebook or visit www.mindfulmarket.com.